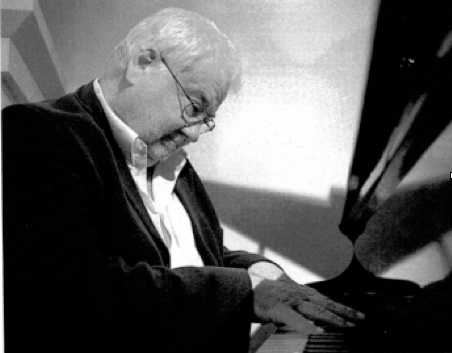 This conference celebrates our creativity and spontaneity and we are delighted to announce that the John Horler Trio will perform after supper on the Saturday night. John is a musician with an international reputation and was for many years the pianist for Dame Cleo Laine and her husband Sir Johnny Dankworth. If you ever had the privilege to attend one of their concerts it was John’s head sticking up behind the grand piano! Jazz has been at the centre of my life since I was a child. For me music, and especially jazz, is about togetherness, about individual input being merged with others to make a whole piece of music. I think of myself as modern, in the sense that modern means “now”. My compositions (though not in a classical form of course) are influenced quite strongly by twentieth century classical composers, also called Modern – Berg, Prokofiev, Stravinsky and more recently Richard Strauss. John is a highly respected pianist and composer who has earned a formidable reputation on the British jazz scene over many years. His credentials as a musician are as impeccable as they are diverse. He started studying at the Royal Academy of Music at the precocious age of sixteen. He acquired his LRAM. Unlike today, Jazz was not valued or studied at the Academy, so he didn’t find himself launched onto the jazz scene at an early age. But his abilities were acknowledged by the Royal Academy at a later stage when he was made an ARAM for services to music! It might be worthwhile booking for the conference (or at least for a full day place on Saturday) to be able to attend this exciting and free concert.